It won’t be long before the home release of Star Wars: The Force Awakens is available, and one of the most exciting parts is the feature-length documentary called The Secrets of The Force Awakens: A Cinematic Journey. If you’re at all curious about how the movie came together, the in-depth doc will show fans the entire process, from the first script reading, to the climactic battle at the end. The above clip, while short, is merely a taste of what the doc offers. 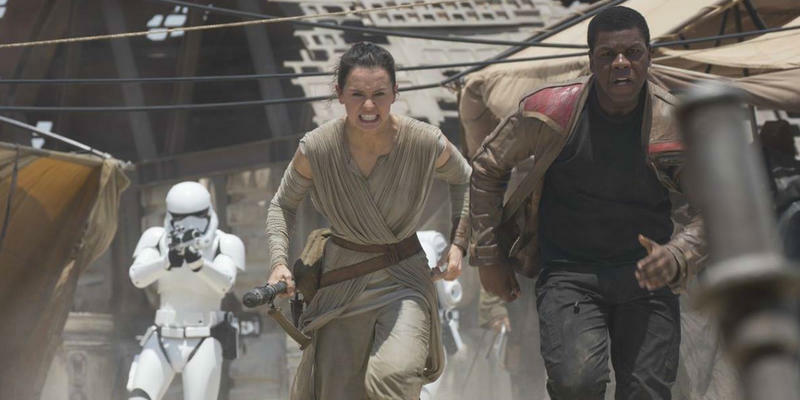 Fans will get commentary from director J.J. Abrams, actors Daisy Ridley and John Boyega, and others as they describe what filming the movie was like. It’s incredible to see how ordinary the filming process is; people are just standing around in funny looking costumes! I mean, seeing Gwendoline Christie in full Captain Phasma getup, sans helmet, is just plain weird. The Secrets of The Force Awakens: A Cinematic Journey actually made its premiere at SWSX and will be included on the Blu-ray release of The Force Awakens on April 5.